This 7 Up Neon is red and green. The shape of the sign is quare. 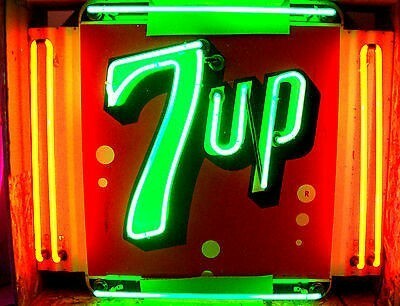 In the center are the words “7 Up” and they are lit up in green neon. To the top and bottom are green neons and to the left and right are red neons. The size of this piece is 30″ x 36″.